Ah writer! Ah Poverty! Oh crap! I don’t know the 2015 statistics, but in 2006 the Book Expo of America claimed that 93% of all books sold less than 1,000 copies per book and that one of ten first time authors did not get a second book published. Now I know why the homeless population is growing. The growing homeless are not druggies, nor alcoholics, nor depressed mental health people, but writers. It all makes sense. Then there is Amazon and e-books. I read on a Kindle forum this past April-and I can’t verify the number-but Amazon has 3.5 million e-books on their site. I have published three and will have six by the end of November, so I am clearly a minnow in an ocean of digital books. I don’t write for money or success; the odds clearly against me and the vast homeless majority of writers, but I gladly accept donations at Amazon where my less than 1,000 sold copies of wonderful e-novels are waiting for you. I write to offset my depression. Writing fiction with e-novels that take place in 1911, 1922, and 1927 take me out of this world and into another time and place and I love the research, the putting together of a sentence, of a paragraph, of a scene between characters; it puts my mind in a better place. For some reason my short stories tend to be horror stories, not the bloody kind, not the monster kind, but the Twilight Zone kind, though once in a while something gruesome does happen. I have no idea why my short fiction is on the dark side, but it does exorcise demons, airs out my nightmares, and allows me a better nights sleep, so I don’t fight it. I think writing is therapy for most fiction authors, something many authors have hinted at, if not outright confessed. So, if you are a writer like me, a minnow in the ocean, do not be discouraged by lack of success in book sales. I get monthly royalties and have received good reviews and while both lift my sprits a bit, it is the act of writing that makes my spirit soar and I hope writing does the same for you. A collection of short stories to scare, amuse, ponder, and enjoy. 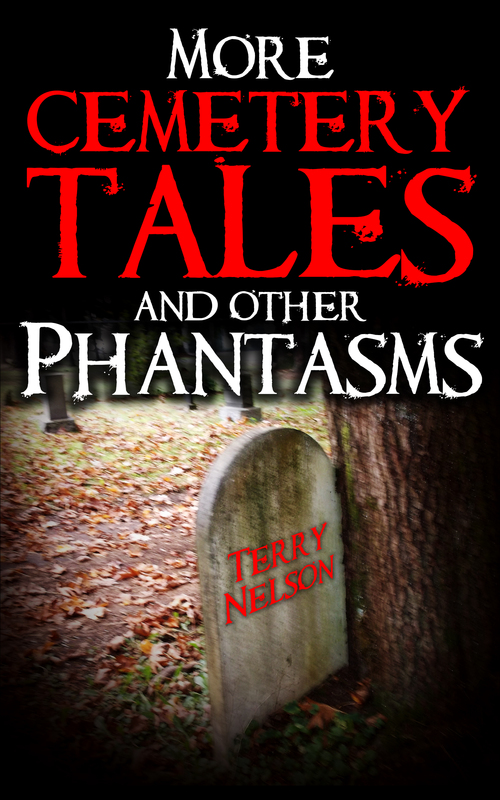 The collection “Cemetery Tales and other Phantasms” is on sale Thursday through Monday at 8 AM Pacific Coast Time for .99 cents. The lead story is “An Evening with Constance Bennett” about a man watching a marathon of Constance Bennett movies on TV who takes a mysterious journey. The second story is “The Castle” about a just graduated high school senior who travels to England to house sit an ancient castle and the less you know the better. “Due Date” involves a writer returning to his home town to find the young librarian who influenced his life when he was a child, but finds a ghostly mystery that he can’t escape. Then we have four tales from a Cemetery, one that actually exists. But whether the stories are real or not, you can decide. “Flowers for Martha Clemens” is a macabre mystery that will haunt a detective. “Desecration” is about two young lads whose pranks on Halloween in a cemetery will upset the dead, and that you don’t want to do. Third tale is “No Shadow in the Shade” about man whose unexpected demise carries him into the next ghostly realm and his experience adjusting to his afterlife. The final cemetery tale is “After the Party.” It has to do with a burial of the parents of children who have gathered at the grave site. The final short story is a short detective story I included for no reason other than it was the first story I wrote. An experiment into a brief detective noir story. Something to exercise my writing ideas.